Our great distributor in Bangkok – Thailand: Elpha Shaw Co. Ltd, participated at BAV Show 2011 – Mini Hi-End Show. A smaller show held in the summer rather than in Feb when the bigger BAV Show is held. 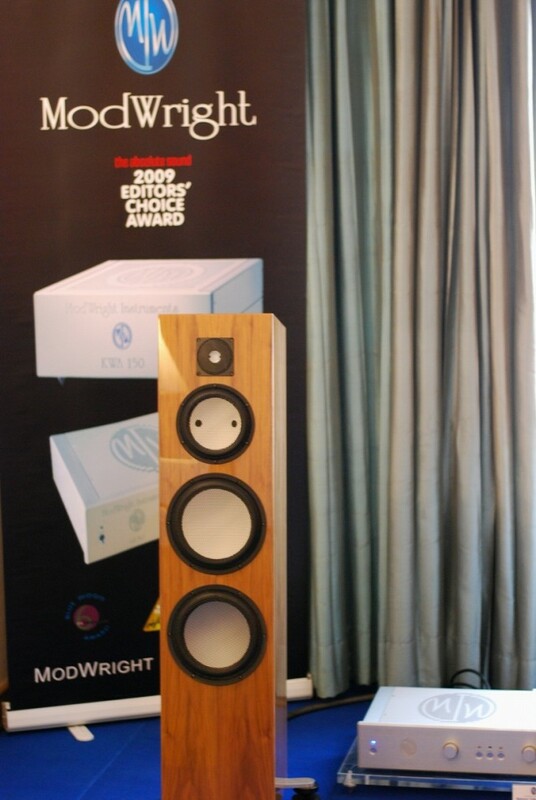 They used Modwright , Sim Audio ,Thorens and Transparent cable with the Marten Getz loudspeakers. 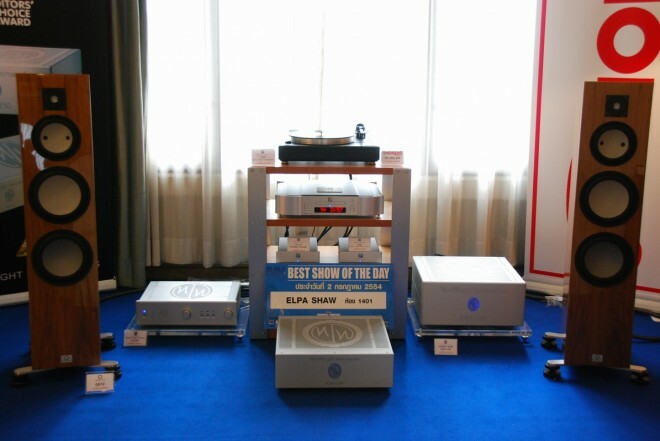 Their demo room was voted ‘Best Sound of the Day ” by visitors of the show on 2nd day. Not bad eh? Thank you very much to our men in Bangkok.